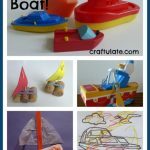 So many pirate crafts and activities for you to try with the kids! 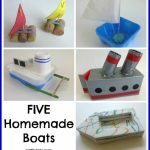 I cut out all the basic pieces of a pirate boat from cardstock – sails, hull, masts, portholes and of course a pirate flag. 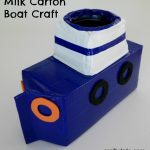 I glued the hull and masts to some blue construction paper then added glue dots where the other pieces should go. Then F completed the picture. I cut out a sword shape from some very thick cardboard. I then wrapped the blade end of the sword in kitchen foil and wrapped coloured tape around the handle of the sword. 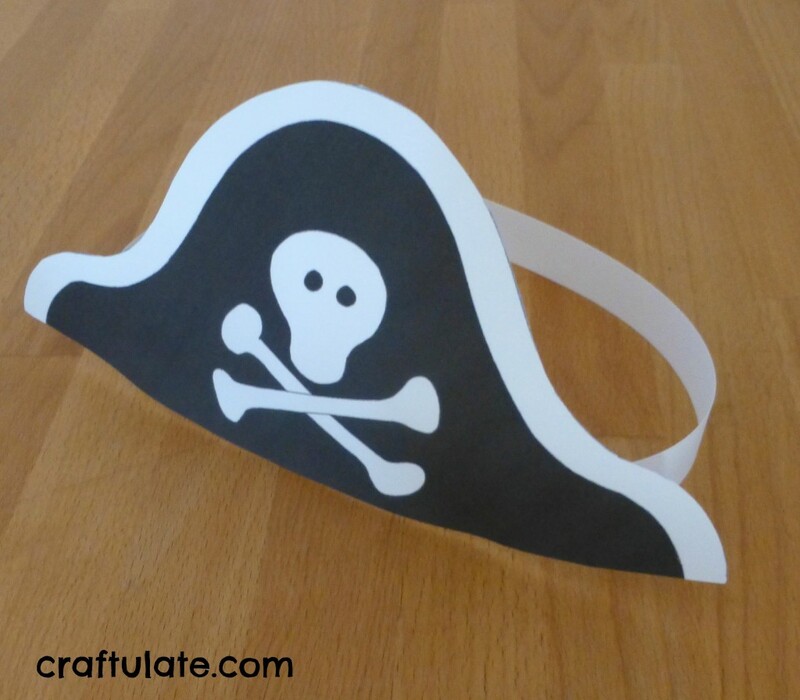 I made this printable pirate hat from Ziggity Zoom (update: site not working now, sorry!) for F. Very easy! I put the sword, hat and assorted pirate-themed accessories into a container. F was very intrigued by the items and I told him what they all were as he took them out. He even wore the hat for a nanosecond! 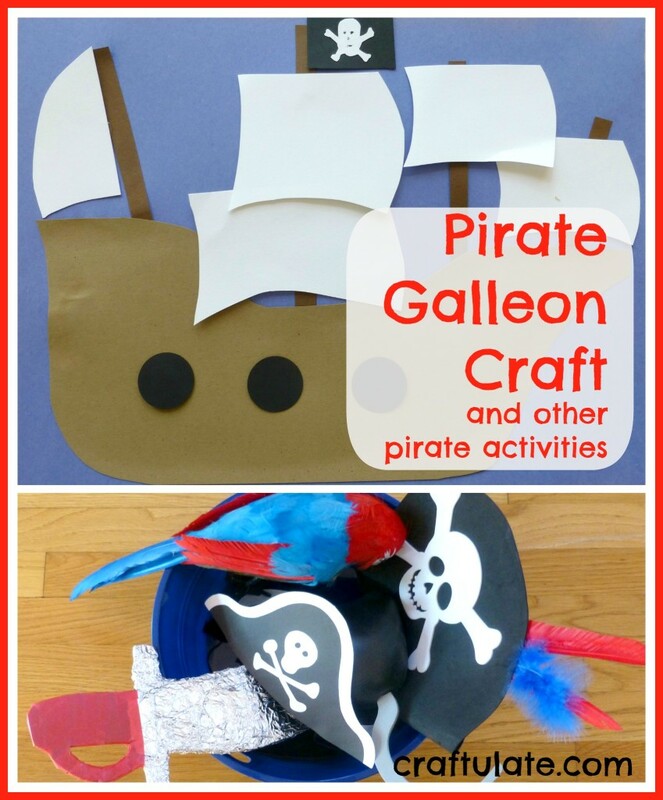 For even more fun pirate crafts and activities check out my Pirates Pinterest Board!